People are unhappy with Facebook's plan for free internet, but why? 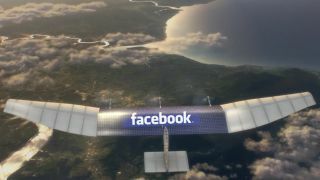 Facebook wants to bring the web everywhere. Poor Mark Zuckerberg - all he wanted to do was bring internet connectivity to the people of the world that didn't have it, and sign them up for Facebook at the same time - but the protests against his plans are getting louder and more vehement. A new open letter and petition says the project "violates the principles of net neutrality, threatening freedom of expression, equality of opportunity, security, privacy, and innovation". Ouch. One of the problems is that Internet.org provides access to a limited number of whitelisted sites rather than the web as a whole. That means new users connecting in developing nations won't have access to the full breadth of the web. Another sticking point is the 'zero rating' plan, where some sites can be used for free without it counting against a user's data plan. This makes it easier for poorer communities to access portals like Wikipedia but essentially promotes certain sites above others, which is contradictory to net neutrality principles. Security and privacy are two other concerns mentioned in the open letter: will data be collected on the millions of new users coming online? And will they be aware of the information they're giving up? These are the questions Facebook is being asked to answer. 67 rights groups have put their names to the petition up until now. In a response sent to the BBC, Facebook said the aim was to get people online for free before giving them access to the wider web once they've seen the benefits it could bring.